About Us | Complete Elevator Service, Inc. 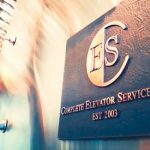 Complete Elevator Service, Inc. (CES) is a family owned and operated elevator company that has been servicing the Chicago metropolitan area since early 2003. CES began modestly with just a single customer who was in need of elevator maintenance. Quickly expanding its operations into several other areas, Complete Elevator began performing Modernizations, New Installations and Service Work. In recent past, CES has also added Inspections to their operations. Communication is key to building a good relationship with your Vendors. Complete Elevators skilled technicians and office personnel are always there to familiarize their customers with knowledgeable follow-up and information on their elevators equipment and repairs. We work hand in hand with your staff and personnel to assure all of your questions are answered. We promise that you will be experiencing the best customer service that you deserve. CES will not lock you into a long term unbreakable contract like some elevator companies do. CES is so confident that we can meet your needs. If you are not satisfied or find yourself going in a different direction with your building, we simply ask our customers for a 30-day written notice on any cancellations. This gives our customers the freedom they deserve. Make the right choice when choosing an elevator company. Call CES for all your elevator essentials and discover the difference. With our professional and knowledgeable staff, you will find that we can surely service all of your elevator needs. Many of our elevator technicians have 10 to 20 years’ experience in the elevator field and are very knowledgeable on all types of equipment. CES technicians work on new, old, traction, and hydraulic equipment no matter what the model is. As a family owned and operated company, we take pride in the opportunity to focus and work together as one. We believe that communication and positivity sets us apart from the rest, serving with world-class safety. Our dedicated team delivers value to all establishments with our industry expertise, innovative systems, and commitment to the communities in which we live and work each and every day.